Cassie Brighton, devastated by the death of her husband, flees to a remote homestead in the rugged Texas Hill Country. Alone in a ramshackle farmhouse steeped in family secrets, Cassie wages a battle of mind and heart as she struggles to overcome the sorrows of her past, begin anew, and confront the possibility of finding love again. Hidden Shadows is a story of healing, of connection: to the land, to our ancestors, to others, to ourselves ñ and to the redemptive power of love. 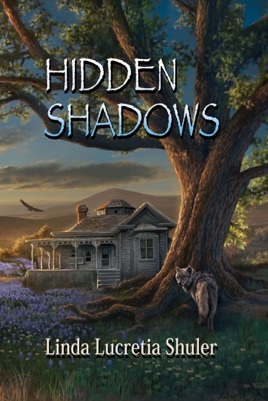 "Hidden Shadows is a wonderful novel of a woman's journey of self-discovery and search for purpose. The characters will win your heart (and sometimes break it) in this beautifully written and satisfying story of loss and renewal." Sandra Worth, Award-winning author of The King's Daughter: A Novel of the First Tudor Queen. "...In Hidden Shadows, Linda Lucretia Shuler has written a poignant novel that explores the complex and ever-shifting definitions of art, community, and love. The result is a story that is as vivid and melodious as the paintings and music of Cassie's new Hill Country home."